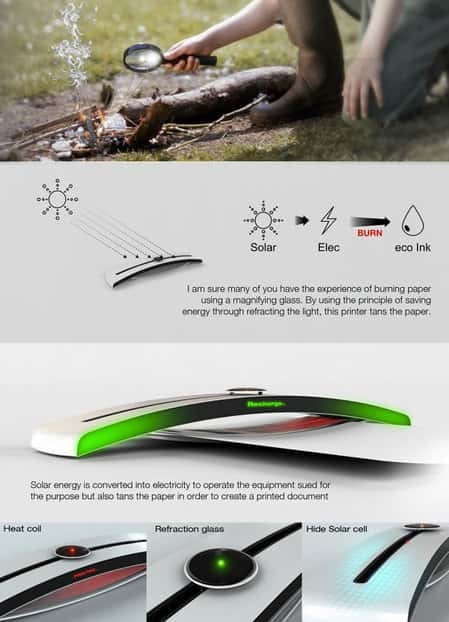 Tanning Printer is a solar powered printer that doesn't require the use of ink cartridges, designed by Hosung Jung, Junsang Kim, Seungin Lee and Yonggu Do. 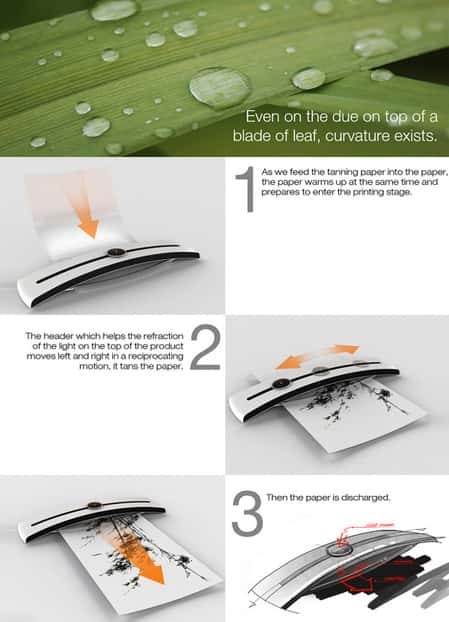 By using the innovative technology of tanning the paper, which is the process of actually sun-tanning the paper! The idea may seem futuristic, but this Tanning Printer is something that could be an eco-friendly solution to the way we see printing. 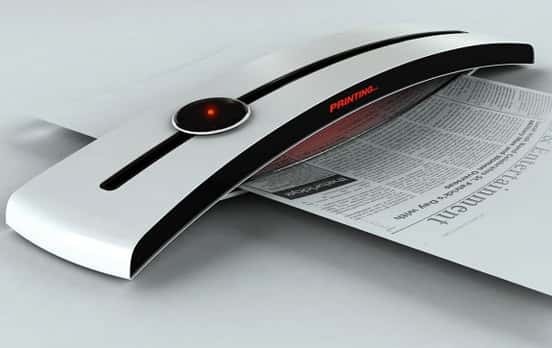 Using the same concept of burning paper through a magnifying glass, the Tanning Printer, saved the energy through refracting the lights rays and tans the paper. By using the heat produced by the sun, Tanning Paper creates enough energy to run without an adapter or electrical charge, as well as produce its own ink. The printer works in an easy 3-step process. Beginning as you feed the paper into the machine; both warm at a similar pace and prepare for printing. Then, the "header," which helps with refraction of the light, moves from left to right actually tanning the paper. Lastly, the paper is unloaded revealing a beautiful, clear image. 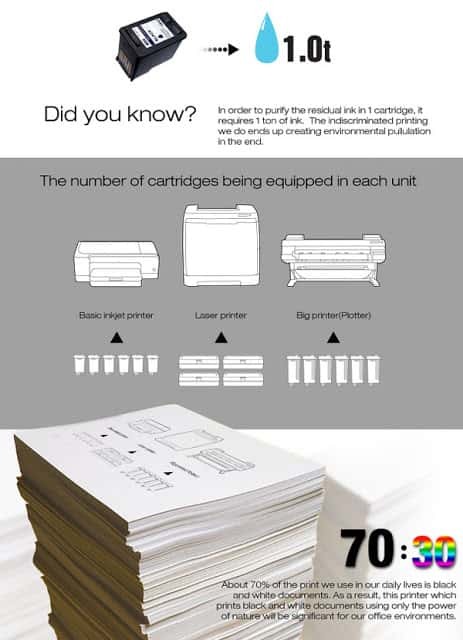 This innovative technology removes the need of ink cartridges, which inadvertently create environmental pollution during the purifying process, runs on solar power energy, and comes in a sleek and stylish design.